How do you pick a solvent or resin that is compatible with your formulation? 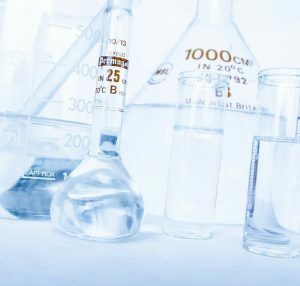 Perhaps you start with a shelf full of favourite “acceptable” solvents and then proceed via a process of trial and error to find something that seems to be good enough for your application? Do you have some idea that a solvent might need to be polar or non-polar and let that guide you? If you’ve ever wondered whether there might be a more effective and systematic way to select solvents, then our latest “iFormulate introduces” webinar is for you. We’ll be taking you through the basics of Hansen Solubility Parameters (HSP). Based on the old principle of “like dissolves like”, the HSP approach is a well-established and successful method for describing your potential solvents and the other ingredients in your formulation in terms of three simple parameters. Selecting the solvent (or solvent blend) is then just a case of selecting those with the best HSP match. The approach has been applied across many formulating industries (pharma, cosmetics, paints, inks, agrochemicals etc) and we’ll be providing some examples in the webinar. For any enquiries, please e-mail info@iformulate.biz. This webinar was run in assocation with the HSP50 Conference, to be held at the University of York, UK from 5-7 April 2017.